You’ve reached the seventh and final installment of a scene-for-scene look at Bad Lieutenant: Port of Call New Orleans. You may want to browse Parts I, II, III, IV, V, and VI. Or you can steamroll ahead and hope it all makes sense. And so we arrive at the final chapter in our exhaustive analysis of Bad Lieutenant. This post explores the film’s slippery final minutes, in which people learn lessons, loose ends get tied, and yet, somehow, nothing is revealed. Bad Lieutenant‘s ride-off into the sunset begins after a climactic — and gloriously berserk — shootout at Xzibit‘s mansion. Over the last of Sonny Terry’s harmonica howling, the film cuts to a junior cop (Shawn Hatosy) at the familiar police station setting. Nicolas Cage enters the frame to inquire about Hatosy’s evening plans in a near incomprehensible drawl. 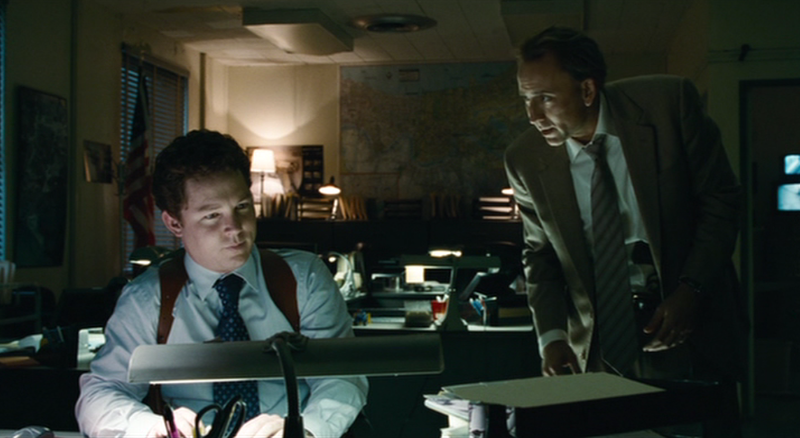 Notice the return of two of Cage’s favorite affectations: his slurred accent and his sharply slanted posture. Bad Lieutenant’s not going to appreciate itself, you know. For best results, read parts I, II, III, IV, and V on this very blog. Welcome back, dear readers. 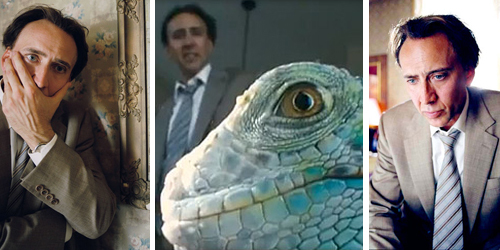 We now return to our scene-for-scene look at Bad Lieutenant: Port of Call New Orleans, the cult-film curio from Werner Herzog. Our last installment trailed a demure Nicolas Cage as he adopted a nonsensical accent and worked to solve the film’s MacGuffin murder case. Cage’s histrionics and Herzog’s wild tangents took a back seat to the film’s skeleton: its script. Like some overbearing authority figure, William Finkelstein‘s screenplay broke up the party and demanded some tangible action. But what is Bad Lieutenant without Herzog and Cage’s enabling relationship, which hijacks a by-the-numbers script and sends it headlong into lunacy? 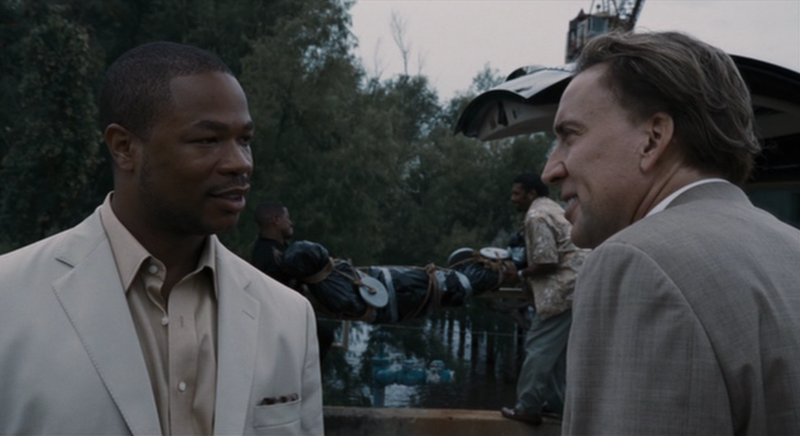 We begin this installment with Cage, Xzibit, and a few of the rapper/actor’s henchmen. Xzibit parks his Escalade along the New Orleans waterfront. As his cronies dispose of a dead body, Xzibit lays out a business proposal.